Streamline helps your conference room work for you. Create a professional atmosphere with a TV or projection screen allowing you to present and instruct with limitless possibilities! Using Control4, your whole boardroom could be transformed. 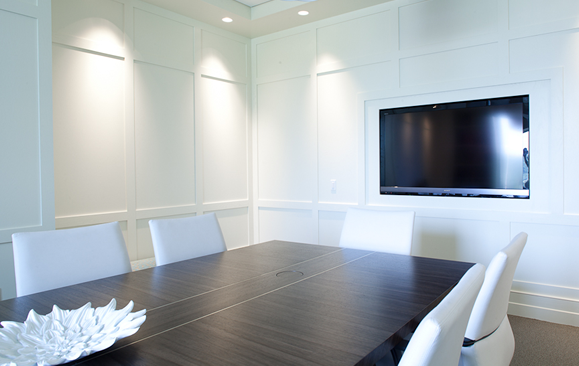 The lights dim and the shades and projection screen lower giving you a customized meeting or presentation atmosphere.